A handwritten thank you for my purchase, now who doesn't love that! Recently I switched to safer products in my daily skincare and beauty routine. It never crossed my mind to read labels or research ingredients. Like many of you, if I saw a product on a celebrity, model, TV commercial, or magazine ad I would more than likely go out and purchase it (within reason of course). After learning some important and astonishing facts about the beauty industry, I was shocked! Hence my 'Switch to Safer' attitude and new & improved self-care regimen. I could go on and on but for now let's talk nail polish. I was recommended Mischo Beauty by my friend Melanie and after reading up on the product and it's creator Kitiya Mischo King I was sold. 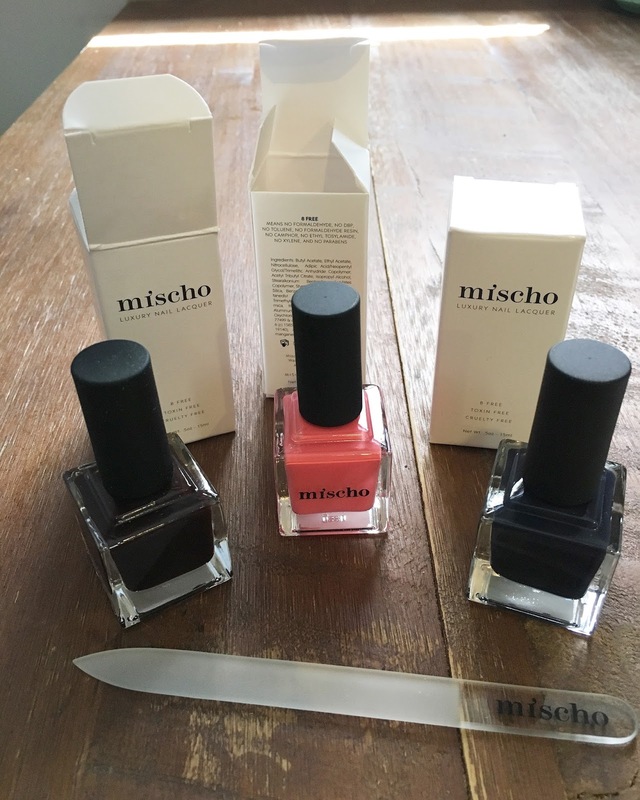 Mischo nail lacquer is 8 FREE, which means it contains NO Formaldehyde, NO Dibutyl Phthalate (DBP), NO Toluene, NO Xylene, NO Formaldehyde Resin, NO Camphor, NO Ethyl Tosylamide, and NO parabens. 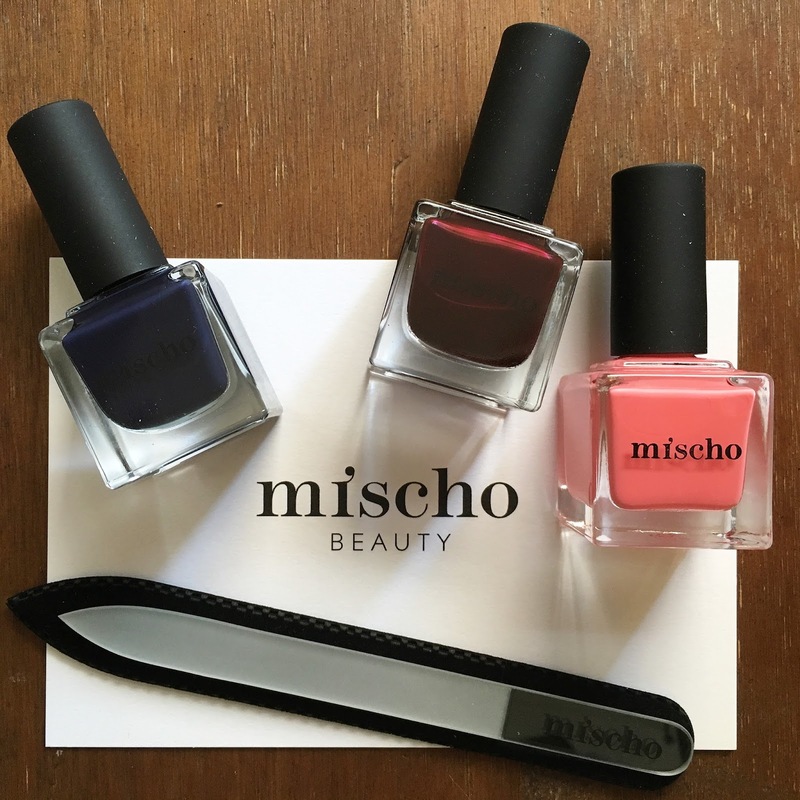 Mischo is also Vegan and Cruelty Free. 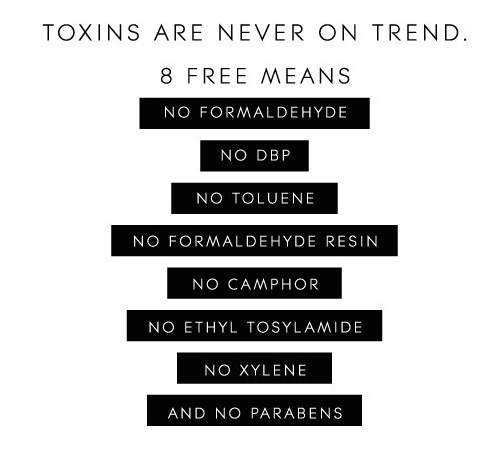 The formula is long lasting and comes in the most beautiful on-trend colors! I just want to take a moment to acknowledge the fantastic customer service. My post office never delivered my package, and in fact they lost it, then found it, never re-delivered to me, and finally sent it back to Mischo Beauty. 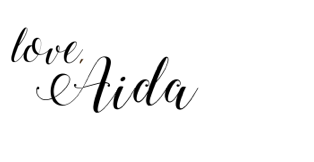 I emailed Mischo Beauty and Kitiya quickly wrote back. She was so kind, apologized (even though it was clearly not her fault), and kept me posted when she received my package. She offered to send it back to any address I choose, she then re-sent it at no charge to me. The package was beautifully wrapped with a handwritten thank you! I was so grateful especially in this digital day and age to receive such wonderful customer service. You can check out the entire line here. As always, thank you for stopping by! Thank you for stopping by! Your comments are welcomed & appreciated!